Happy Western Easter Time Travel Day! If you’re Catholic, Protestant, or any of about 500 other flavors of Christianity, today is Easter. 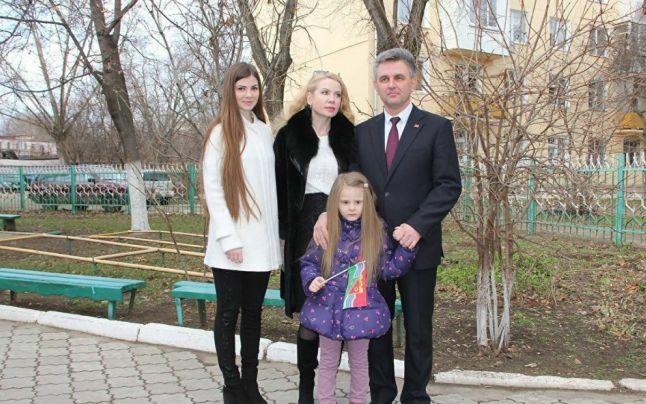 If you’re living in Moldova, where only a few renegade Ukrainians and “weirdo” evangelicals celebrate Easter today then you’ll have to wait another month or so for all the Orthodox fun. Fun Fact #1: The Orthodox church in Romania uses the Gregorian (modern) calendar date for Christmas (December 25) but uses Orthodox calculations for when to celebrate Easter (May 1 in 2016). Fun Fact #2: How Easter is calculated is quite bizarre and historically interesting and was one of the primary motivations for developing university level mathematics during the “Middle Ages”. Fun Fact #3: In most languages, it’s really obvious that Easter (Ro: paște) and passover are derived from the same root word due to the fact that Jesus was in Jerusalem for Passover when he was executed. And yet Passover is celebrated on April 22 this year and is calculated by a completely different method altogether. Boing! And even if you’re more atheist than Richard Dawkins, today is when we all magically travel forward in time an hour. This means Romania and Moldova are now on CST time instead of CET time (GMT +2). Daylight “savings” time has to be one of the weirdest and most mystical collective hallucinations of the modern era. Initially conceived either as a way to reduce wartime expenses and/or to help farmers (? ), the idea of changing clocks artificially at different times (Europe does it 2 weeks after the United States does it) is just odd. Supporters will tell you all kinds of fluff like it reduces traffic accidents (since fewer people go to work when it’s still dark out) but that’s like saying adding arsenic to cake reduces obesity levels. True, but not really that germane. Time zones themselves are utterly bizarre, if you really think about them. The idea is that we can’t all be using the same clock since it’d mean the sun rises at 3pm for some people and 3am for others. That definitely makes sense but the modern “answer” of slicing the world into 24 “hours” is a half-hearted solution at best. The planet is a globe, not a square, so the closer you get to the equator, the wider the time zones get. Likewise, the closer you get to the poles, the narrower the zones get. So if you’re standing a kilometer away from the North Pole, you can run across a time zone in about a minute while if you’re in Kenya it’s over 1,000 miles (1600 km) across. Romania and Moldova share the same time zone and same latitude but even so there are some pretty big discrepancies. For example, here in Chisinau the sun rises a full half an hour before it does in Timisoara. If we were being ultra precise then Moldova should have a time zone 30 minutes ahead of Romania’s but of course that’ll never happen. This means that Moldovan schoolchildren head off when the sun is up while children in Timisoara leave home while it’s still dark. Fun! Countries like Ukraine are even more bizarre, as the sun rises a full hour earlier in Lugansk/Donetsk (where all the fighting is) than it does in Lviv in the west. Technically that’d make it a different time zone except that, for political reasons, Ukraine has just one time zone. Plenty of other oddities abound, like (mainland) Spain being one hour ahead of Britain and yet you can see on the map that Spain is clearly due south of Britain and logically should have the same time zone. And some countries, like the United States, only halfway follow through on time zone shifts, as in the state of Arizona where most of the state never adjusts its clock but the Navajo nation territories inside the state do. I know, I know. We’re all used to this system and it seems ridiculous to point out its obvious deficiencies. Yet to my mind, this is all leftover nonsense from previous centuries, much like the idiotic body mass index, measuring food by calories as if human bodies were furnaces burning coal, the QWERTY keyboard layout and the unbelievably useless intelligence quotient. Time zones and the custom of switching clocks twice a year are no different – outdated science now deeply embedded under crusty layers of social convention. Farming as we know it is about to go the way of the dinosaurs, with large-scale operations being performed by robotics and remote operation (much like “pilotless aircraft”/drones today) and small-scale by humans with no need for old-fashioned “dawn to dusk” hours. And slowly but surely, the concept of transporting our bodies to work and school is being fragmented by telephones, email, videoconferencing and emerging technologies (like VR). And when that gains critical mass, we can all stop acting like cogs in some giant factory, unnaturally slaved to an outdated notion of time zones. It’s not time for this quite yet (ahem) but it’d be far kinder to our bodies and psyches to say “let’s meet at 141 minutes before sunset” or “school starts at 93 minutes after sunrise” using the old Roman/Greek/Jewish/Muslim idea that a new (calendar) day starts at sundown. I’m convinced that’s how time will work in the future, especially when everyone is wired to some kind of gadget (today’s tablets/phones/watches) that does the calculations for us. Happy Western Easter/Time Travel Day, everybody! Limba de lemn. Daca teceai filozof ramaneai. I do not understand what do you want to say in this articol. If you do not have anything to say shut up.